Based on a popular LED chaser design, this enhanced version actually chases back and forth. Moreover, it includes two (2) independently controlled alternating flashers as well as a BCD 4-bit output for additional effects. High output drivers can drive multiple LEDs or even incadescent lamps. Perfect for futuristic control panels and other special lighting effects. LEDs can be purchased separately. 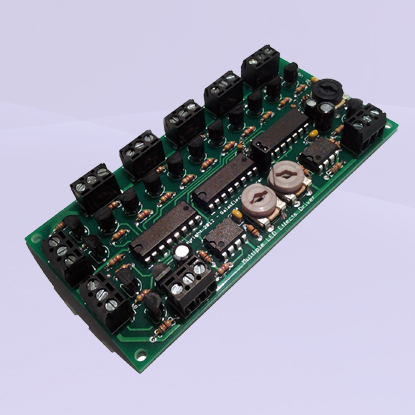 The unassembled kit includes instructions (including schematic and parts placement) and all the components to build one complete Multiple LED Effects Driver. A soldering iron, solder and a pair of cutters are required for assembly. Dual independently-controlled alternating flashers with dual outputs. Configured for 12V operation, but can be easily adapted for lower voltages. Screw terminal headers for easy soderless connections.